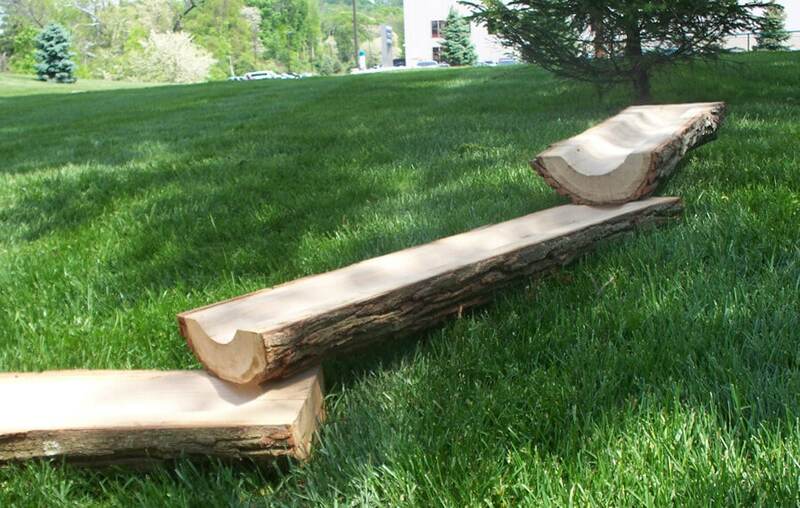 The Water Log Trough, Set of 3 allows water and objects to flow from trough to trough and provides an instant creek for your natural preschool playground. Place a garden hose at the high end of the trough; turn the water on and the fun rolls gently down the stream. 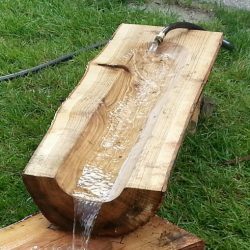 The Water Log Trough can be used for water play and learning. Add manipulatives to this preschool playground equipment and the young scientist can observe and explore the physical properties of water, snow, ice and other sensory items. The children can make simple cause and effect predictions and demonstrate scientific principles—sink, float, melt, solid, liquid. The Log Trough can also be used without water to demonstrate and observe the force of gravity. Children can collect objects found in nature and roll them down the chutes.